Clitheroe used to be one of our favourite tent ‘getaways’, finishing work on a Friday afternoon as the kids left school, everything chucked in the Ford Fiesta boot and forty minutes later arriving at the Caravan and Camping Club site on the edge of town by Edisford Bridge. That was fifteen to twenty years ago before we moved South. 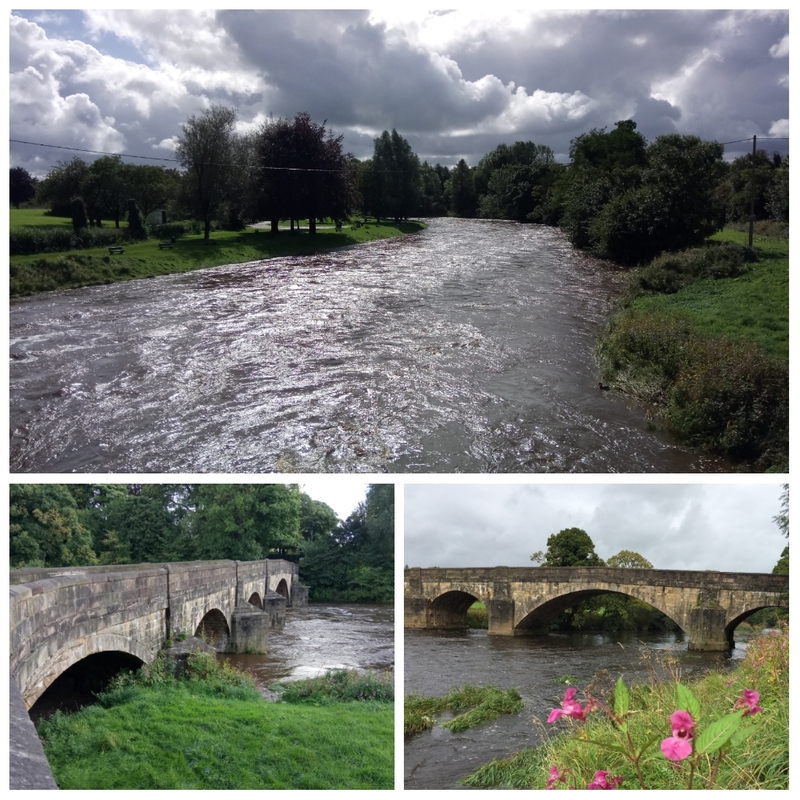 We always liked the feel of this town and today, with heavy rainclouds providing the backdrop, walk the mile or so from The Edisford Bridge Farm Caravan Site past a very swollen River Ribble and rows of terraced houses to see if much has changed in the last couple of decades. 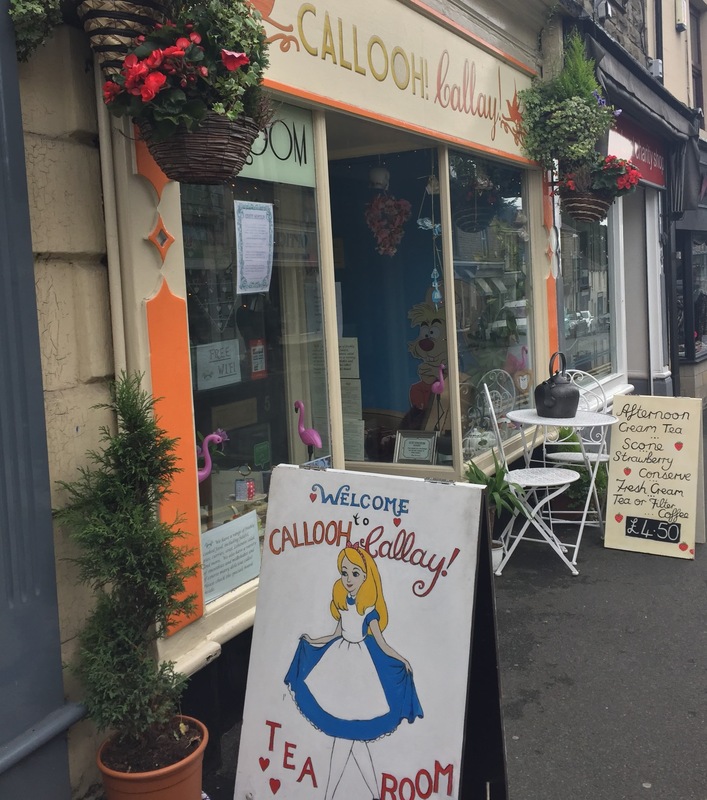 Clitheroe, with it’s 12th century Norman Castle at it’s very heart sits at the edge of the Forest of Bowland, a stunning area of Lancashire with villages untouched for centuries, yet, within the hour you could be in the Lake District, the Yorkshire Dales even the city centres of Manchester or Leeds. 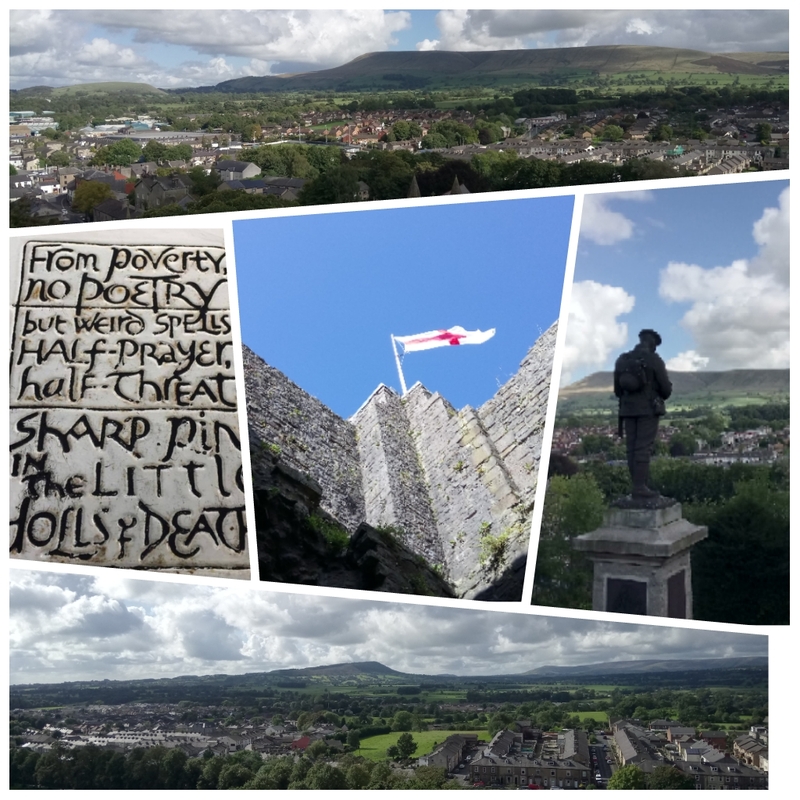 The Castle offers a commanding, and free, view of the surrounding countryside, including Pendle Hill with its associations to the Pendle Witches. Sure enough, many of the usual supermarket giants now have a presence in town, luckily, the fast food giant only gets as close as the A59 by-pass. The central high street and market areas have retained an old fashioned independent retailer base which we especially like, it is amazing how quickly other towns demise when these disappear and the poundshops, charity shops and bookmakers move in. 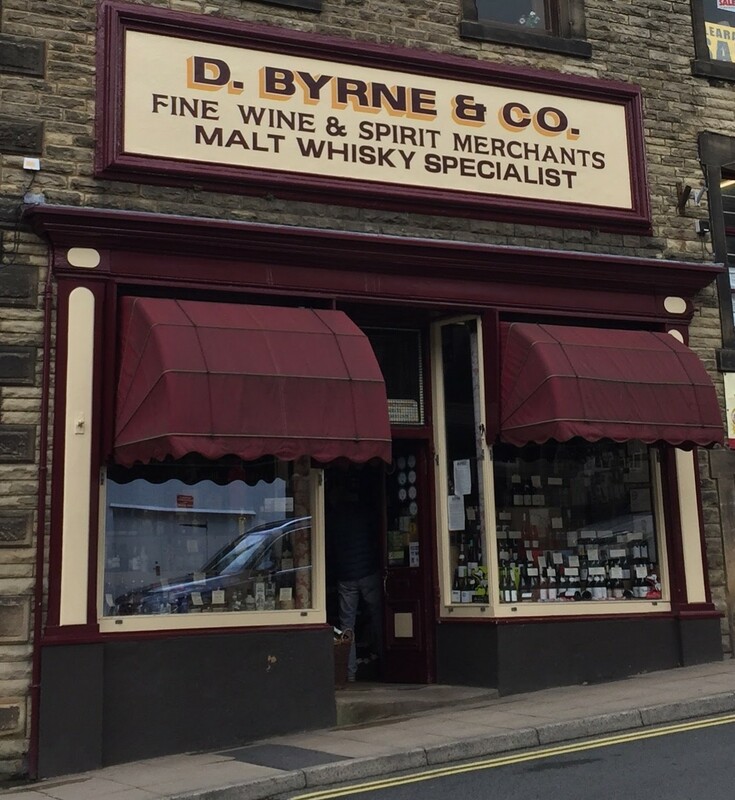 We venture into D.Byrne’s, Wine and Whiskey specialist, for research and medicinal purposes, heads ducking through cellar after cellar revealing Spirits and Wines from every corner of the world. Red wines for prices in the hundreds, no barcode labels here, just old-fashioned stickers printed by a pricing gun, we love this. The cash register has to be one of the oldest you will ever see still in full daily use. We feel adventurous, no £3.79 Lidl special vintage tonight for us, we extend ourselves to £9.59 and pick a far travelled …. 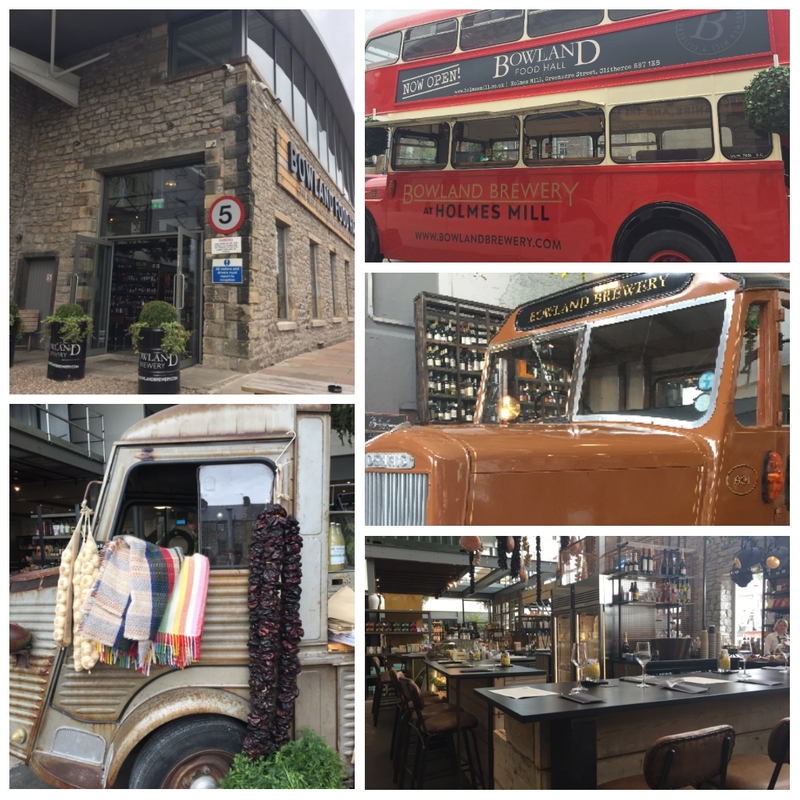 English white wine …. Go us. Very palatable it was too! The Boss gets hungry, he must be due his twelve o’clock feed. As we are buying ‘local’ today we avoid the major chain outlets, the high street pubs look inviting but we walk further. Now stood on a street of small terraced shops we are struggling to spot food outlets, clearly, we couldn’t see the wood for the trees, directly at our backs was the Callooh! Callay! 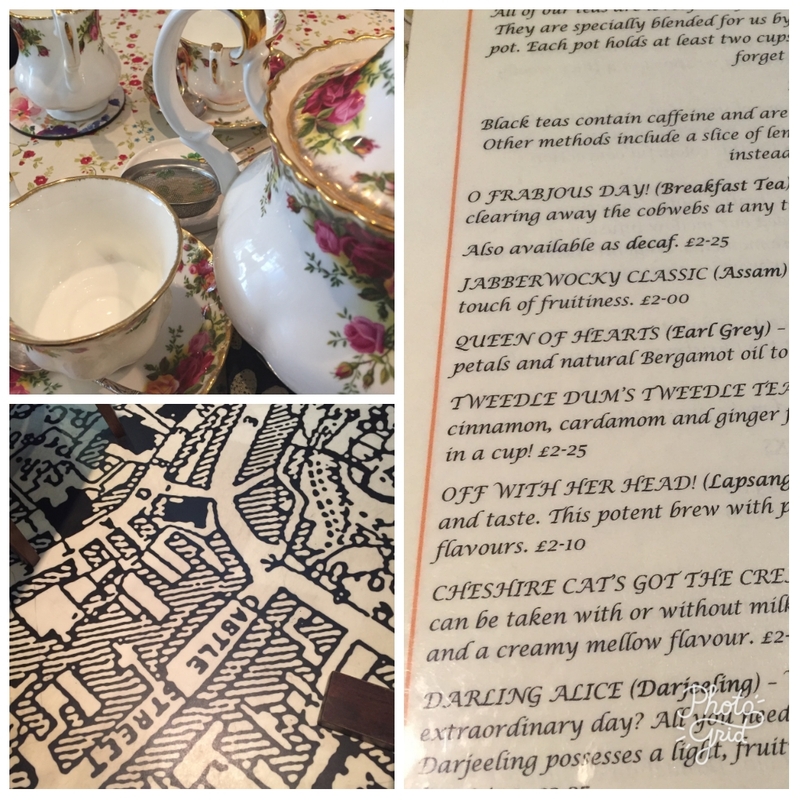 Tea Room and what a treat it was too. Sausages. This may be the real underlying reason we came to Clitheroe. 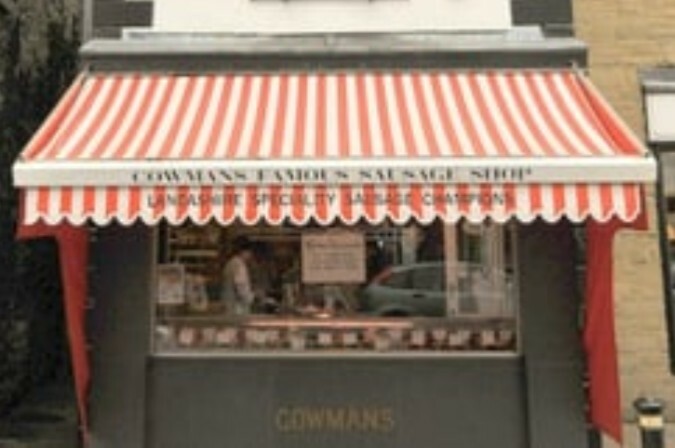 Cowman’s Famous Sausage Shop sells an amazing choice of sausage varieties under one roof. 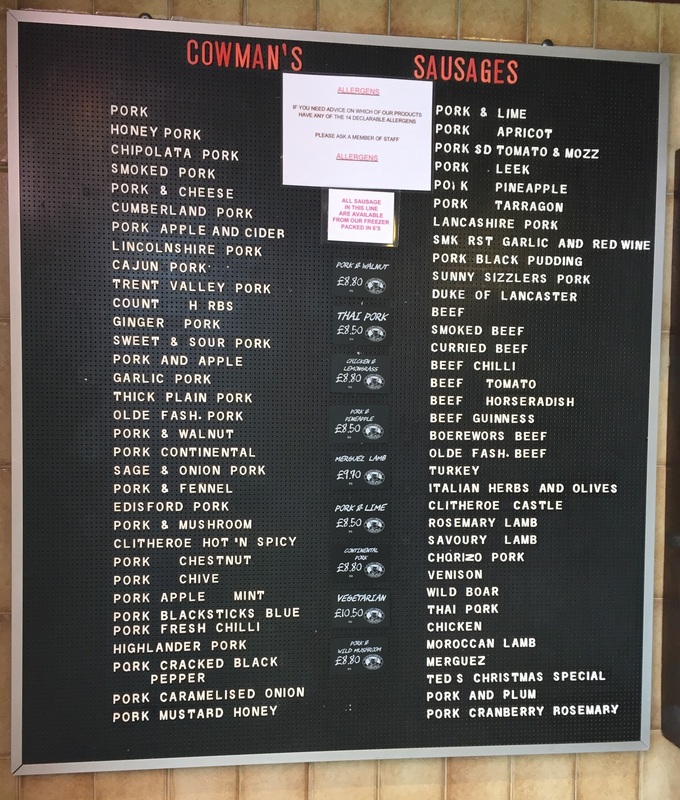 Years ago they had baskets of samples on the counter, but after pretending you weren’t sure which one you liked the most as you worked your way through six baskets, you no longer were hungry or needed to buy sausages. Maybe they still have them but remembered our faces from twenty years ago and swept them quickly under the counter. We buy four flavours, Pork & Black Pudding, Pork & Apple Cider, Pork with Honey & Mustard and Pork and Garlic. Only when we cooked them later did we remember that real sausages don’t erupt gallons of boiling fat when pricked, not a drop of fat escaped and they were tasty, tasty, tasty. We even sneaked back a few days later for even more flavours… that good. We do like a good bottle of local beer. 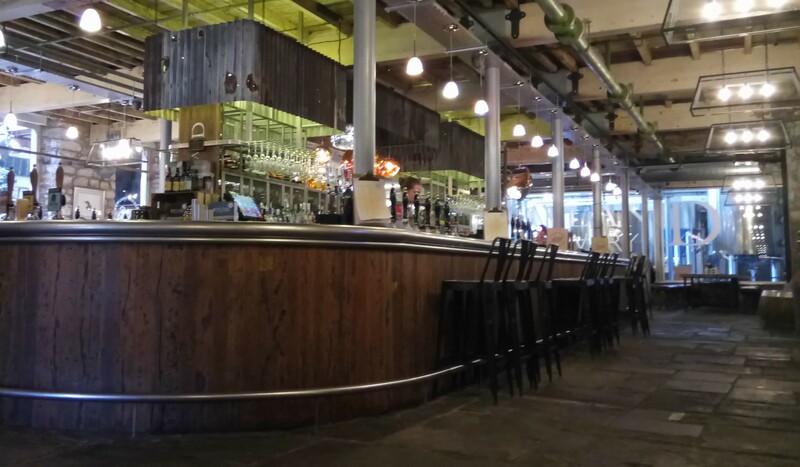 On seeing our location a very good friend recommended the Bowland Brewery, also in town, the brewery sits within a recently developed complex including the Holmes Mill and Beer Hall, apparently the UK’s largest beer hall until just after they opened, never mind, 2nd largest is still big enough for us. 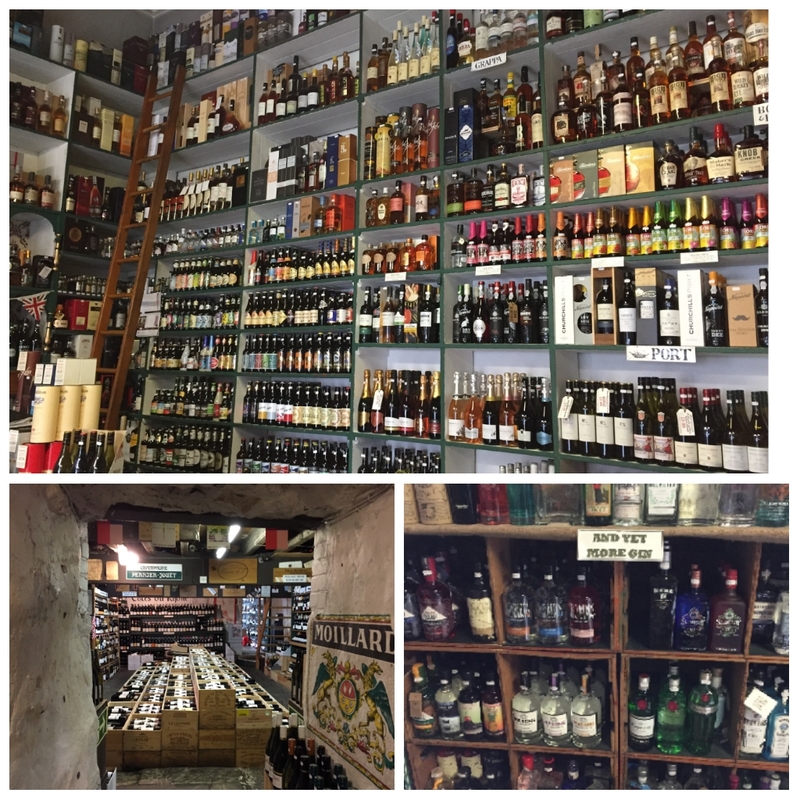 We dipped into the purse one last time on our ‘buy local’ trip and grabbed a few beers. Brewery tours are available on Wednesday, Thursday and Friday starting at £10 per person. With those ever present rain clouds threatening overhead, spent up we head back to the caravan passing the rows of terraced houses for a second time. 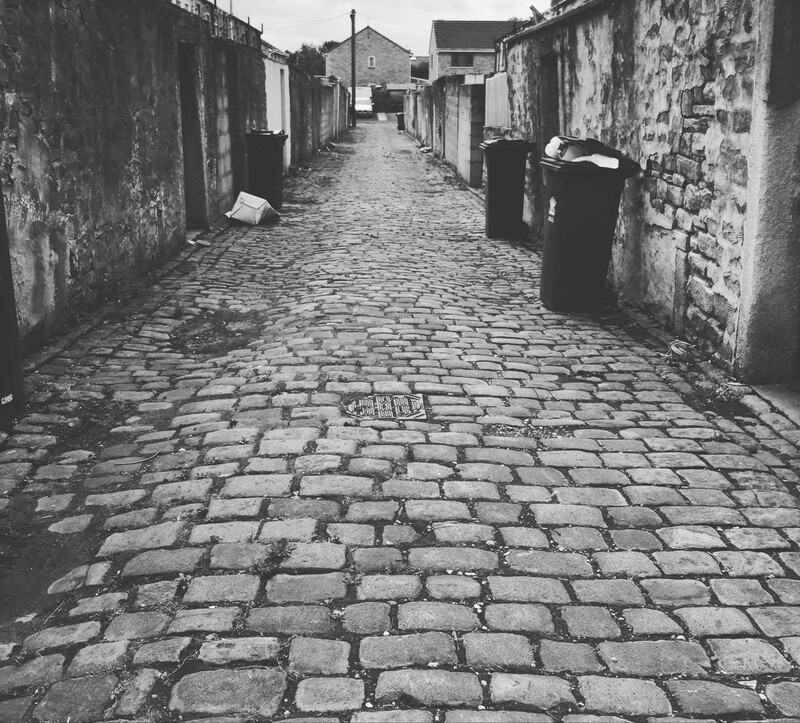 Call us odd, but we love a cobbled backstreet, once the cobbles are lifted or buried a place never looks as good again. We lived many a year on a cobbled terrace street, where life was always as good as your neighbours. 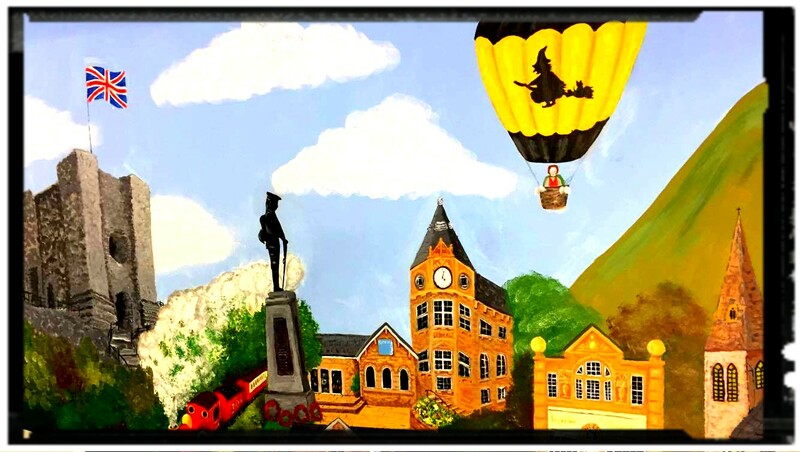 Note, the header image is adapted from a mural on the wall of Bawdlands Chippy on Edisford Road, Clitheroe.. and they do very good Fish & Chips too.